Lynden International, a full-service freight forwarding and logistics company, acquired Haas Industries on June 1 to enhance its network and services throughout the Lower 48 and Canada. The acquisition strengthens Lynden’s capabilities for home delivery, trade show, and specialized delivery services within those markets. Haas Industries began serving customers in 1989 with a vision of offering an unparalleled level of reliability, flexibility and service within the freight forwarding industry. “Over that time, we’ve forged many long-term partnerships with clients, but ultimately we believe our vision has been achieved. Now is the time to create a new vision; one that produces even greater opportunities for our employees, associates and, most importantly, our customers,” says President Keith Haas. Haas Industries is now operating as Lynden International. SEATTLE – Lynden International, a full-service freight forwarding and logistics company, announces the opening of a new Service Center in St. John’s, Newfoundland. The new location adds a strategic link to Lynden’s extensive global network and will help meet the increasing demand for transportation and logistics in the region. District Operations Manager Jim Giles will manage the office, which will offer a direct connection between Houston, Texas, and the island to support its growing oil and gas industry. The St. John’s office is located at 40 Commonwealth Ave., Suite 110 in Mount Pearl; telephone 709-368-8678. Lynden International is one of the Lynden family of companies whose combined capabilities include worldwide air and ocean forwarding, third-party logistics, trade show shipping, shipping to Alaska, truckload and less-than-truckload transportation, scheduled barges to Alaska and Hawaii, charter barges., intermodal bulk chemical hauls, scheduled and chartered Hercules L-382 cargo aircraft and multi-modal logistics. Lynden companies are repeat winners in the annual Quest for Quality awards presented by Logistics Management magazine. Twenty people in two canoes left Douglas, AK this spring on their way to Wrangell for the rededication of the Chief Shakes Tribal House, a memorable and long-awaited event in the tribal community. 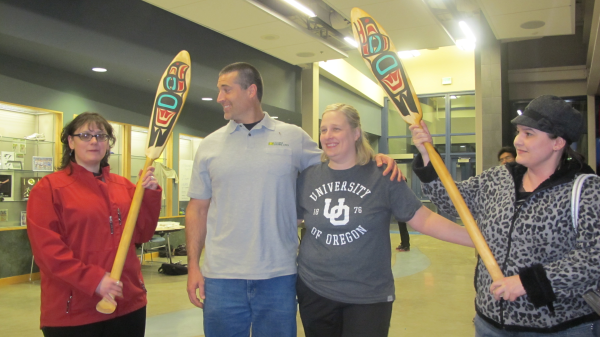 Alaska Marine Lines donated the transportation of the canoes from Seattle to Juneau in support of the event and its organizers, the One People Canoe Society (OPCS). The historic tribal house has been undergoing renovation and a special ceremony was held May 4 to rededicate it in the village of Ka’saan on Prince of Wales Island. Canoe teams from other Southeast Alaska communities paddled to Wrangell and on to the island for the two-day celebration. “Helping the OPCS was especially gratifying because of the scope of their reach. From Seattle to Yakutat, the group unites all communities, big and small, throughout Southeast Alaska in the cultural activity of paddling traditional canoes. Coordinating this shipment also highlighted the importance of our Alaska Marine Lines service within the various communities in Alaska,” says Jake Maenpa, Alaska Marine Trucking Juneau Service Center Manager. “What a team!” begins a letter from Drew McLaughlin of Marsh Creek, LLC to Chairman Jim Jansen. The letter goes on to praise Lynden Transport employees for exemplary service during a months-long project for Marsh Creek hauling soil from Prudhoe Bay to Anchorage. Marsh Creek is cleaning up contaminated soil around an old test well at the former Umiat Air Force Station in the Arctic Circle. Lynden hauled more than 100 truckloads from the remote site which is 140 miles from Deadhorse. 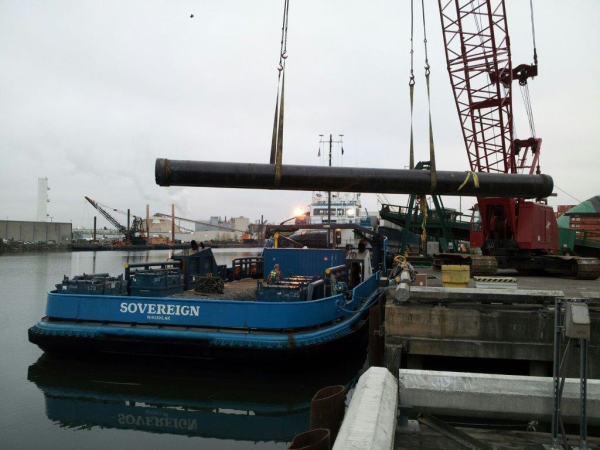 “Placing the equipment in this setting, staging it and keeping up with the demands of our normal Anchorage, Fairbanks and Prudhoe Bay lanes was challenging but Jack Morad and our operations group planned in advance for this project. They did a fantastic job of meeting Marsh Creek’s needs while keeping our other customers’ supply chains flowing,” says Matt Malone, Account Executive in Anchorage. Umiat is known as one of the coldest places in the U.S. At times, temperatures at the job site plunged to 60 degrees below zero. According to Matt, Marsh Creek operators tore a steel loader bucket while digging dirt out of the frozen ground. 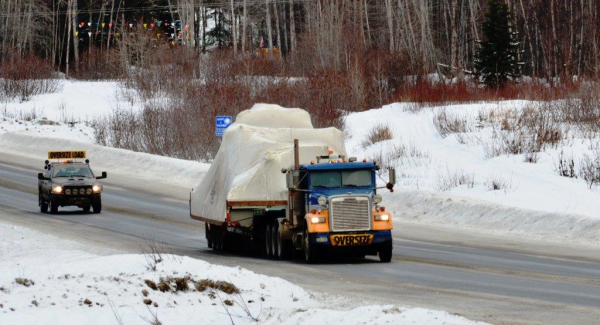 Delays in super-load permits and customs paperwork created some nail-biting moments for Lynden employees who were charged with transporting a 120,000-pound load from Calgary to Anchorage and on to Ninilchik near Kenai. 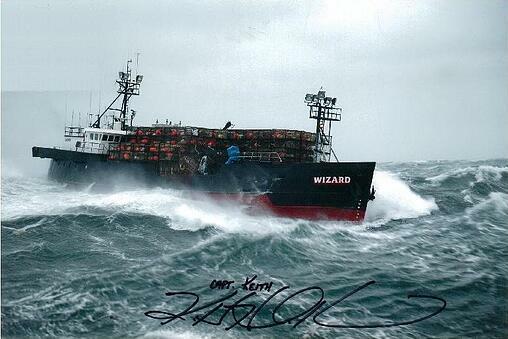 The compressor was not only heavy, its 30-foot by 14-foot by 12-foot high stature required special paperwork for a ship sailing and truck transport – and the customer needed it right away. 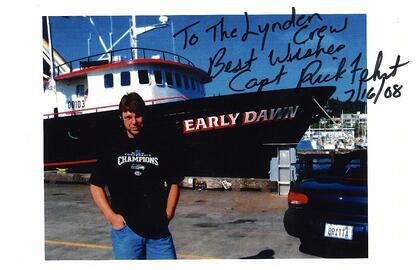 “We brought the compressor from Canada to Seattle to make a Friday ship sailing to Alaska. In addition, five support loads, including three oversized, had to be transported via truck and on site to beat the compressor delivery,” explains Jacob Harrison, Account Executive with Lynden Transport in Anchorage. Another challenge came with delayed customs paperwork. “By the time we received it, it was too late for Keith Hall at Lynden International to clear the shipment, so we were pushed back a day. 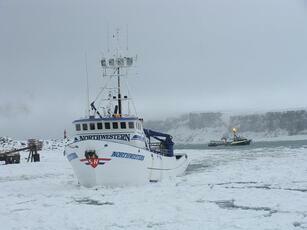 Keep in mind, this unit needed to move as soon as possible to make the sailing cutoff time,” Jacob explains. Lynden Transport Fife’s Neil Cranford was at the ship transfer site when the compressor arrived. When it was lifted via crane, one of the picking points began to bend under the stress of the weight. Neil found an alternative connection and the crane operator successfully transferred the unit to Lynden’s “Dakota” trailer which the Anchorage operations team had previously moved to Seattle. Long-time customer Nabors Drilling called on Lynden Transport earlier this year to move 72 loads for its rig “99” relocation project in the Kuparuk oil field. The move was a challenge with some loads weighing around 85,000 pounds and five that measured 14-feet wide. 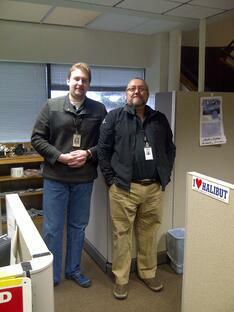 Once the loads arrived at Prudhoe Bay, the second leg of the journey began. The ice pad destination was another three hours west of the Lynden office in Deadhorse, including an hour of driving over an ice road onto the Colville River Delta. The trucks, led by a pilot car, were in a convoy to the ice pad for the seven-hour roundtrip. Alaska West Express helped out by bringing up five heavy haul loads of generator units to power the rig, each weighing around 78,000 pounds. 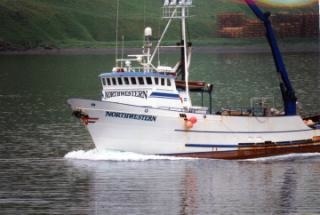 Justus singled out Kenai Operations Manager Justin Cooley and the Anchorage dispatch team for their expertise coordinating the movement of the rig out of Nikiski. “This project was another Lynden team effort resulting in a satisfied customer,” he says. 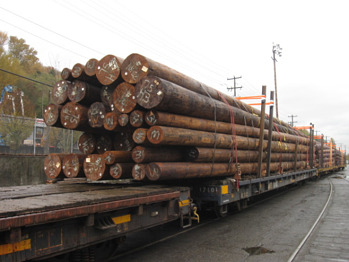 The poles sent to Cooper Landing will be used for rebuilding the oldest sections of the 50-year-old power line connecting Anchorage to the Kenai Peninsula. "Pacific Wood Preservers, Sea Pac Transportation, The Alaska Railroad, Wesco and Alcan Electric were all very pleasant to work with and provided teamwork on this project," Matt says. "This goes to show how thinking outside the box and providing our customers with a variety of options can result in a successful outcome."